Excellent for food service use. 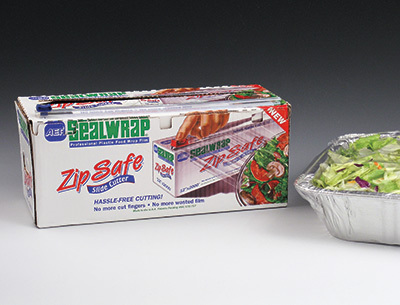 Transparent wrap makes it easy to see through and provides a strong cling and tight seal. Built-in slide zip cutter allows for easy, clean cuts every time, and helps protect fingers. Ensures safety and performance, and reduces waste. Meets FDA and USDA requirements for food contact. Packaged in a dispenser box.